System of sports facility for urban areas, designed to meet the needs of movement, and socialization challenges of adolescents. 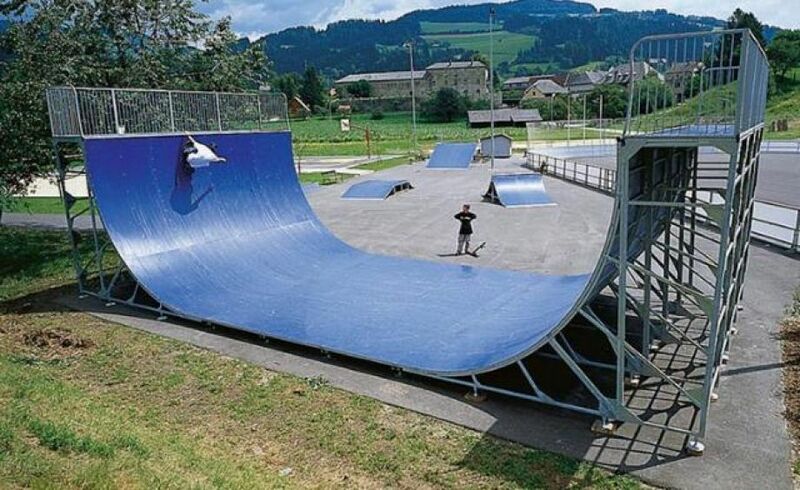 This range of facilities for skateboarding is built with materials and finishes of high quality and has great references, including the supply of the World Championships in Seoul. 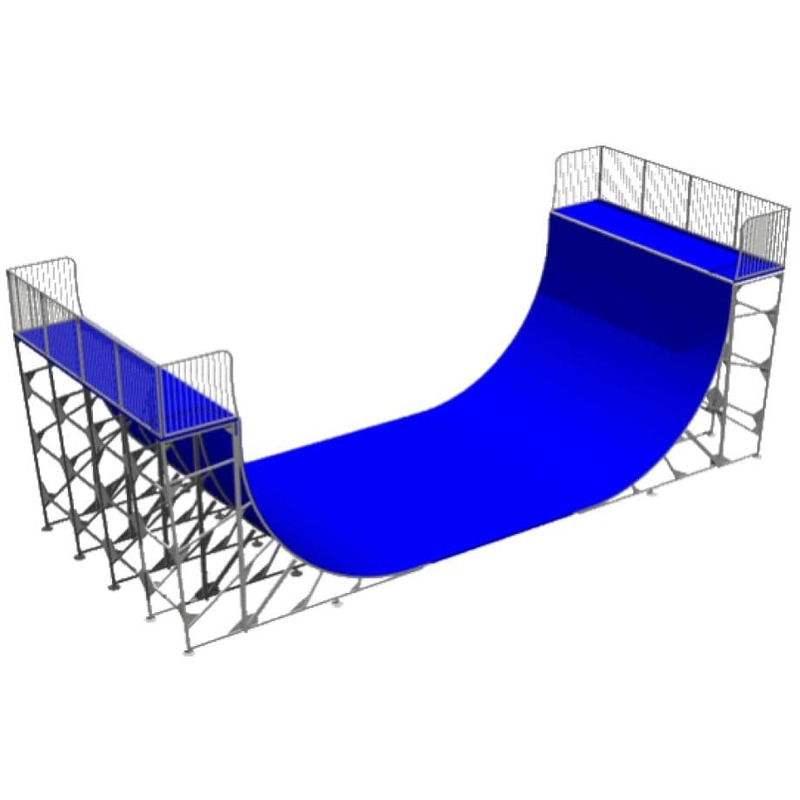 The main features are: galvanized steel frame, made of bolting assembly pins inserted into special cables that preserve the thread and promote the installation and eventual removal for any repositioning additions; sliding slope thickness 9 mm made in composite resin with quartz additives and special dual-layer anti-UV coating which defends the track from the dirt of the skate wheels; the sliding slope and underlying structure is specially designed to ensure the absorption of impact in case of fall. The full SKATE LINE includes 140 articles. The color standard of items is RAL 5002, other colors are available on request.